This evening is one of the most significant events of the Society’s Calendar. We present AJS-NSW Awards to outstanding students of Japanese studies at the six universities in the greater Sydney region. More details of keynote speaker and registration will follow in due course, but please reserve the date. The awards ceremony will be followed by a networking reception. This annual event is a highlight of our year and a lively evening and we hope many members will attend. Join us for a night of Sumo excitement and delicious Japanese food. Following on from its success in previous years, the Australia-Japan Society of NSW will hold the 2019 annual Sumo watching night in May. 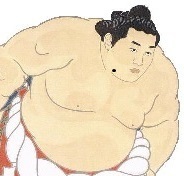 Bring along your friends and family and enjoy all the excitement of the Grand Sumo Tournament (Tokyo Basho) via a live NHK broadcast along with a delicious Japanese dinner. Door Prizes will be awarded on the night. Registrations will open in mid April. 19 Jun 2018 Australia and Japan: Stronger defence ties - what does it mean? 08 Jun 2016 2016 University Awards Night; Consul-General Takaoka keynote "Japan, Australia and the G7 Summit"
18 Sep 2015 Culture Program: "Inoue Yasushi & the Four Seasons in Japan"
23 Oct 2014 Sports Business in Japan: The Next Six Years will be full of Opportunities! 11 Mar 2014 March 11 - Tohoku - 3 years on! 27 Mar 2012 Supported Event: Austrade-JETRO "Opening the Door to Business with Japan"
24 Jun 2011 University Awards & Presentation Consul-General "Japan and Japan-Australia Relations after the East Japan Earthquake Disaster"
07 Apr 2010 Art Lecture: Utamaro Japanese prints "Edo City: Crucible of Culture"